There is a place for Kurt's wife, Ruth Goldschmiedova Sax on the left of the stone. 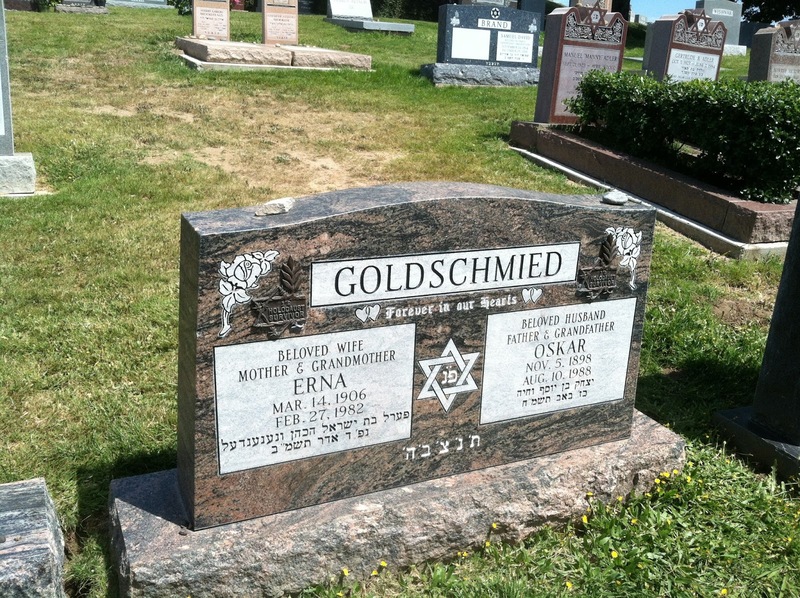 Erna and Oskar Goldschmied are the parents of Ruth Goldschmiedova Sax. They were both Holocaust survivors, as was Ruth. 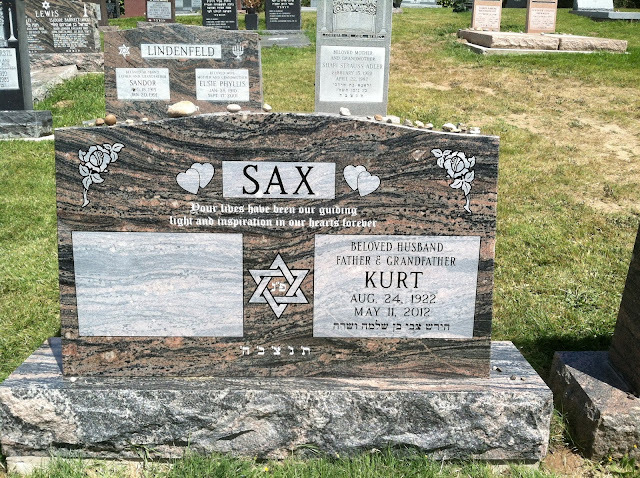 Ruth and Kurt Sax were our neighbors for 37 years, and were very dear to us. Ruthie is still living, and giving presentations about her Holocaust experiences. Did you see the "sayings" below the family names? What about the rocks on top of the gravestones? The stones are placed to show that someone was there.